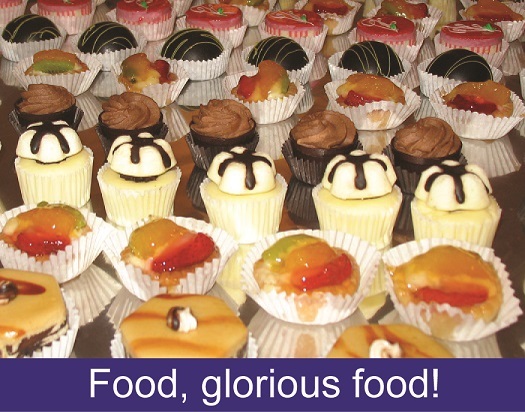 Imagine having freshly baked pastries available to you all day long, every day, while at work. I’m not talking about someone bringing in a box of donuts to share, I’m talking about baked goods on a massive scale. This is what I experienced in one of my design engineering positions within the food industry. These baked goods constituted the articles of manufacture of the food plant, and they presented a constant temptation to me. Just what constitutes an article of manufacture is another aspect of the second hurtle which must be passed to determine patent eligibility. It is addressed under federal statutes governing the same, 35 USC § 101, and is contained within the same area as the discussion of what constitutes a machine, a subject we took up previously in this series. Why bother defining articles of manufacture? Well, while hearing the patent case of Diamond v. Chakrabarty regarding genetically engineered bacterium capable of eating crude oil, the US Supreme Court saw fit to define the term so as to resolve a conflict between the inventor and the patent office as to whether a living organism could be patented. The net result was the Court declared that in order to be deemed a patentable article of manufacture the object must be produced from either raw or man-made materials by either hand labor or machinery and must take on “new forms, qualities, properties, or combinations” that would not naturally occur without human intervention. In other words, a creation process must take place and something which did not previously exist must be caused to exist. The court’s definition of articles of manufacture encompasses an incredible array of products, much too vast to enumerate here. Suffice it to say that the defining characteristic is that if it should consist of two or more parts, there is no interaction between the parts, otherwise it could be categorized as a machine. In other words, the relationship between their parts is static, unmoving. An example would be a hammer. It’s made up of two parts, a steel head and wooden handle. These parts are firmly attached to one another, so they act as one. Next time we’ll continue our discussion on the second hurtle presented by 35 USC § 101, where we’ll discuss what is meant by composition of matter. Did you know that from the early days of the Industrial Revolution until well into the 20th Century it was common practice for all aspects of a product to be built entirely under one roof? For example, a wheelchair manufacturer in the 1890s would buy the various raw materials needed to construct component parts, everything from bars of steel and wooden boards to rattan stalks and gum rubber, then produce every part of the wheelchair in one facility. Items as diverse as chair frames, footrests, wicker seat cushions, springs, wheel rims and spokes, and tires would all be constructed from the raw materials purchased, then assembled into the finished product. Doesn’t sound like an efficient process to you? Henry Ford didn’t think so either. In fact, he is credited with pioneering mass production in manufacturing when he observed during the production process of his line of automobiles that inefficiencies abounded. Inefficiencies in manufacturing are common, as they are in everyday life. Last time we saw how robots, i.e., the introduction of industrial automation, can be used during the Production stage of our systems engineering approach to medical device design to increase efficiency and reduce manufacturing costs. Today we’ll take a look at another inefficient practice, along with its solution. Returning to our wheelchair manufacturer, the problems associated with manufacturing and assembling all aspects of a product are many. At the top of the list is the substantial cash outlay that’s required to buy and maintain a huge factory complex and all the specialized equipment required to make each and every part. In addition, there’s the ongoing expense of employing and training employees needed to fabricate each component. 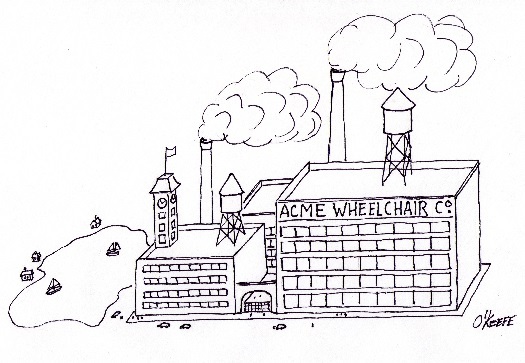 In other words, the wheelchair factory has a lot of fixed overhead expense to carry, and the more overhead there is, the more expensive the end product. Expenses such as these are almost always passed on to the buyer. The solution? Outsourcing. That is, using outside manufacturers to produce many, perhaps even all, of the component parts. Then our wheelchair manufacturer would simply assemble the purchased parts into the finished product, resulting in lower manufacturing costs and higher profits. The benefits of outsourcing were widely recognized in the decades following World War II, when the post-war economy was booming and demand for consumer goods increased dramatically. That ends our look at the Production stage. Next time we’ll move on to the Utilization stage to see how the systems engineering approach is put into play once the medical device has been introduced into the marketplace.